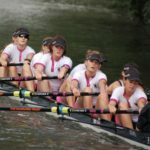 Welcome to the Emmanuel Boat Club website. 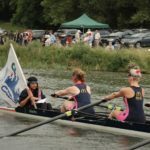 Founded in 1827, EBC is a rowing club open to members of Emmanuel College, Cambridge. Competitive on the College rowing circuit, we regularly enter large numbers of crews in the famous Cambridge University bumping races, which take place twice a year on the River Cam. 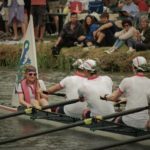 Our top crews regularly race outside Cambridge, competing in the Tideway heads, and are firmly situated in the top divisions of the May Bumps, and we consistently see Emmanuel rowers trialling for and representing Cambridge University. The latest news and photos can always be found on our Facebook page. Emmanuel Boat Club is proudly sponsored by Reader Offers Limited and with kit kindly sponsored by Northgate Restaurants Ltd. Kit kindly sponsored by Northgate Restaurants Ltd.
Are you new to Emmanuel?